Thank you for taking action. Our voices are being heard inside the Government Department that has the power to make things right for these young migrants. 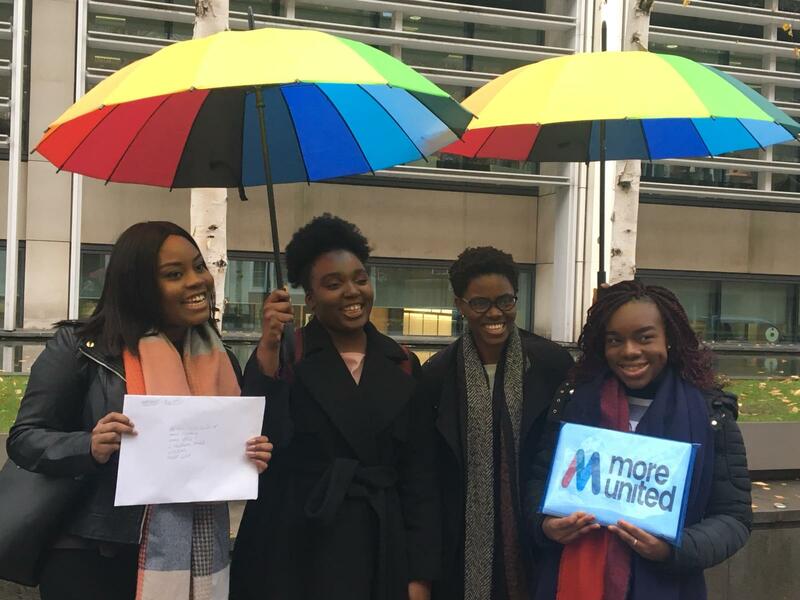 Campaign update: Ijeoma and the Let us Learn team handed in the petition to the Home Office. 5,500 of us have joined them in demanding a change to the double tax on young migrants. We are worried that the lives of young people who have grown up in the UK and are proud to call this country home will be blighted by government plans to double the Immigration Health Surcharge. The increase is due from next month, and the fear is that this will force many lawful young migrants into ‘illegality’, as they simply can’t save enough money to pay the Home Office renewal fees. That increase will take the overall cost to £2,033, which is a 238% increase since 2014. These are impossible sums for people on low wage jobs. pause the increase in the NHS charge until that exemption has taken effect. The NHS charge was meant to stop health tourism. It wasn’t aimed at young people – like Lizzie, Ijeoma, Zeno, Misan, Andrew and Mayowa – who have grown up in the UK and whose futures belong here. They already pay towards the NHS in their taxes. They shouldn’t have to pay twice. The UK is their home. Help these young people have a future here. More United joined Let Us Learn outside the Home Office. 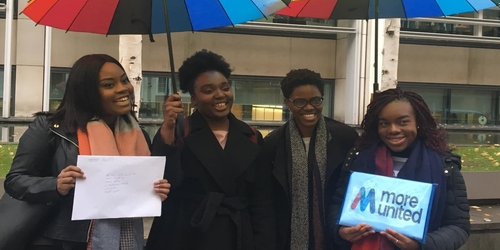 The group of young migrants handed over the petition together with a personal letter to the Home Secretary and a scrapbook with photos of their upbringing in the UK. The young migrants from the Let Us Learn team has made a video shining a spotlight on issues faced by young migrants in their struggle to become UK citizens.